NB: Bupleurum can be erratic to germinate…I wouldn’t recommend them to newbies. Some folk do well with them and they reseed like billio…other don’t fair so well. They seem to do best in light sandy soil. Bupleurum is one of the all time classic folliage plants. No cutting garden should be without this fella if the gardener can get them going! Its zingy citrus green acts as a foil to the brighter colours of most of your cut flowers and will set them off a treat. The stems of Bupleurum grow through the leaf…a very peculiar looking fellow indeed. 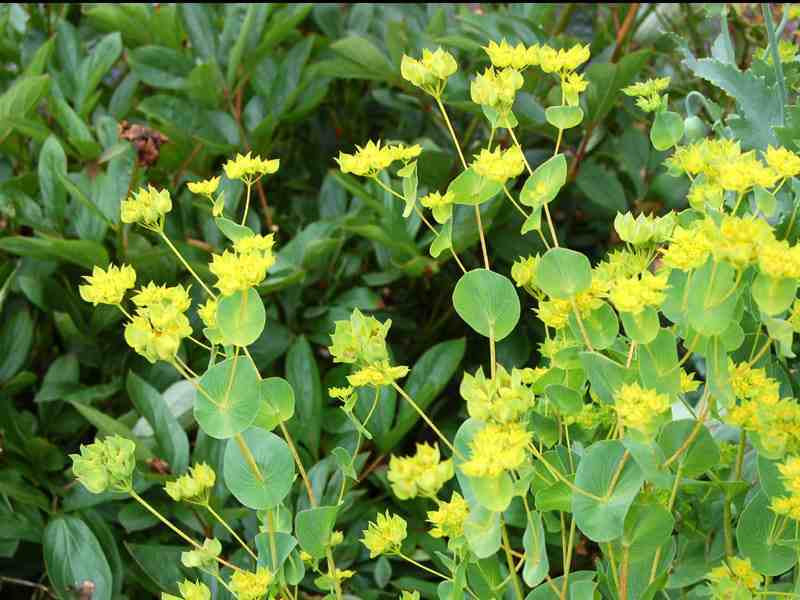 Unlike Euphorbia it hasn’t got any skin irritating sap. Sow Bupleurum seeds September/October or March-May. Space 12inches apart.